Categories: Drostanolone propionate (Masteron), Injectable. Tag: Alpha Pharma. 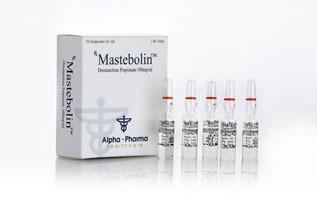 Mastebolin – is the trade name of the active substance drostanolone propionate from Alpha Pharma Laboratories. As known as: Mastever, Masteron, Drostanol, Pharma R-Droz, Drostanolone and others. 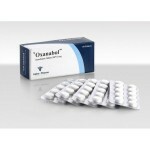 Drostanolone is an anabolic drug that athletes use during “drying” to increase the density and muscle relief. 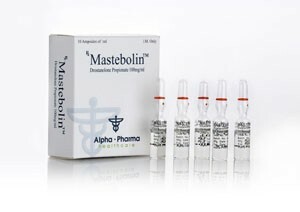 Mastebolin – perfect in preparation for a competition: is used for the getting even more great results for the quality of “drying”, 2 weeks removed from the body and is not found in the anti-doping tests. Masteron has moderate anabolic activity, has a high affinity for the androgen receptor. The product is not subject to conversion into estrogen, so does not cause the associated side effects and is considered one of the safest anabolic that was invented. Mainly because of this, the drug is one of the most popular in Europe. Mastebolin is the best choice for athletes who want to significantly increase the power rates, while maintaining his weight class. 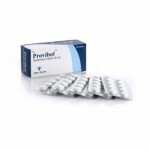 And for those, who looking to buy steroids online. Very efficient burning of body fat (5-7% of the initial level). Masteron course lasts 6-12 weeks. Long-term use of the drug is recommended only for experienced athletes who thoroughly understand the resources and capabilities of the organism. 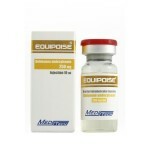 Amateur athletes is best to follow a policy of drostanolone to 8 weeks. Normal week the dosage: 400-600 mg divided into 3 injections. Injections are done every other day to maintain consistently high concentration of active substance in the blood plasma.